A good divorce lawyer can work with you and your therapist as a team. In divorce court in Freehold a few years back, I heard a judge, in the middle of a child custody trial, ask a husband why he felt that his wife should not have custody of their 13-month-old daughter. The judge was overstating things a bit, but his point is well taken. His point is that the fact that someone is in counseling does not mean that they are incapable of having custody of their children, and, in fact, the exact opposite is true. Indeed, as a lawyer who has practiced in the area of divorce law for almost 30 years here in Monmouth County, the judge’s comments have been valuable to me for illustrating to countless clients the value of them having emotional support in the form of a trained licensed professional during the divorce process. Divorce is hard; it is unlike anything else most people have previously experienced in their lives. The one person you trusted the most, your spouse, is now someone you trust somewhat less (or perhaps even dramatically less). Money issues are frequent. Child-related issues develop or worsen. Different people respond to the stresses and pressures of divorce in different ways. Some people develop anxiety attacks; some people begin drinking alcohol; some people self-medicate with drugs; some people gamble; some people engage in risky behaviors. The list goes on and on. Psychologists, psychiatrists, and social workers are trained to help with the many complex emotional issues that surround divorce. Are you presently going through the experience of a divorce? 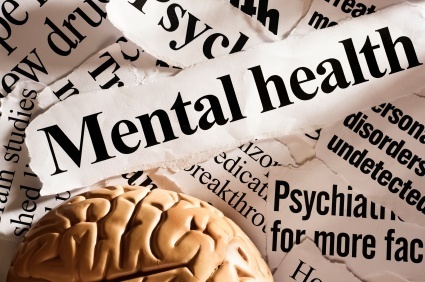 If you are, you should give serious thought to obtaining the services of a licensed psychologist, social worker, and/or possibly a psychiatrist (if there are medication issues) to help you through this most difficult time in your life. The court system will not penalize you for seeking the help of a therapist. Rather, as in the example above, the court system will give you credit for recognizing how difficult the divorce process is and will recognize the wisdom in your decision to obtain appropriate professional help in the form of a therapist.